Cell membrane is one of the most exciting biointerfaces by which the cell, the smallest living unit, orchestrates its communication/interaction with its surrounding, vital for its survival. Design of suitable model systems with similar functionalities could prove themselves as useful platforms to focus on membrane-mediated cellular processes such as cell–cell and cell–surface interactions. 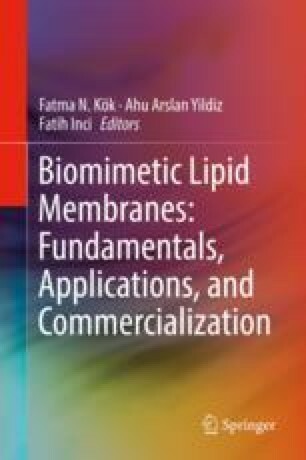 Biomimetic lipid membranes are able to sustain the structure and fluidity of the cell membrane, and could mimic its dynamic complexity. In this chapter, an overview of cell interactions on biomimetic lipid membranes is given with a focus on supported lipid bilayers.